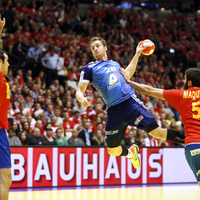 The European Handball Federation’s media and marketing partner for the EHF European Championships, Infront Sports and Media, has confirmed that Bauhaus is to extend its sponsorship of both the men’s and women’s events in 2016. The European workshop, house and garden specialist is a long-term partner of the event, and will again be present for the men’s event in Poland (15-31 January 2016) and the women’s event in Sweden (4–18 December 2016). Besides Bauhaus, the official sponsor line-up will feature a maximum of a further seven brands, including AJ (mail order office furniture, materials handling and storage solutions) and Intersport (sporting goods retailer) both of which have already been confirmed. Sponsors of the events will benefit from a clear and recognisable advertising platform that guarantees high exclusivity. Brands all receive high profile exposure in TV camera view, such as through advertising around the court on LED boards, floor stickers and static boards behind the goal. This is complemented by further brand communications opportunities including activation on site and a corporate hospitality. In 2014, the men’s and women’s tournaments generated the highest exposure ever for national team handball in Europe, totalling 4,252 broadcast hours in around 150 countries and territories. Further information on the Men’s and Women’s EHF EURO events can be found on the official website at www.ehf-euro.com.